Established in 2014, Starbright Dental is owned by two Gold Coast general practitioners with over 30 years of experience in the health industry. Having owned and operated a medical practice for twenty of those years, they understand the importance of a customer-focused approach. We place great pride in providing high-quality dental treatment, a welcoming environment and amenities to make your experience a relaxed and enjoyable one. Our practice is located at 8 Tweed Street in Southport. Off the main road, we can always guarantee free and convenient parking right on our doorstep. We also understand that it is not always possible to get to the Dentist within working hours so we are now offering weekday evening and Saturday appointments. 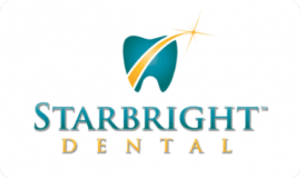 Starbright Dental is proudly an accredited dental practice. This accreditation is an independent recognition that our surgery meets the criteria against the six National Safety and Quality Health Service Standards applicable to dentistry. Our professional team is committed to high-quality dental care and continuous improvement of our practice policies and procedures.